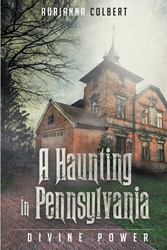 Recent release “A Haunting In Pennsylvania: Divine Power” from Page Publishing author Aurianna Colbert is a chilling and unnerving true story of a haunting with entities and demons and how they dominated the home and lives of one Pennsylvania family. Aurianna Colbert, a Pittsburgh, Pennsylvania native, has completed her new book “A Haunting In Pennsylvania: Divine Power”: a gripping and chilling story of a difficult and evil tragedy, 42 years in the making. Published by New York City-based Page Publishing, Aurianna Colbert’s tale reminds the reader that throughout time there have been stories of witches, ghosts, and things that go bump in the night. There have been famous cases of poltergeists, hauntings, ghosts, and possessions. But no story is as hair raising or spine chilling as a story that is horrifyingly true. This is a true story that happened to a well-liked and professional family. It began in 1972 and continues today. The names of the family members and the people involved have been changed to protect their reputation and their identities. It has taken forty-two years to record the O'Brien’s frightening ordeal. Now for the first time ever, this is their story. Readers who wish to experience this chilling work can purchase “A Haunting In Pennsylvania: Divine Power” at bookstores everywhere, or online at the Apple iTunes store, Amazon, Google Play or Barnes and Noble.